The assumption I make is that civil society is not hibernating or in a state of anomie as some believe. Rather, it has long been patiently waiting for a spark to ignite it into action. It has both the will and the ability to embrace higher levels of production, productivity and progress through developed collective consciousness that is both fair and equitable. This entry was posted in Book, Book Read, Book Reading, books, Business, Business Ethics, business excellence, Business Governance, business management, Business Policies, corporate ethics, corporate governance, corporate policy, corporate values, ethics, governance, guide, management, management in social sciences, manual, Read, Read a book, Reading, reading a book, text book, text book for college, text book for researchers, Uncategorized on 29/08/2014 by lifepositivepublications. The need was to make an epistemological deviation and take the path of bounded rationality. Hence I decided to present a volume that would act as a postgraduate text that provides an insight into the rationalist philosophy of ethics. In the process my co-authors and I have given birth to a philosophy on sociology and a political economy of ethics and governance. The point also being made in this research based argument is that Corporate Governance is NOT a matter of laws where regulators act according to certain regulations. It is not a matter of tick marking activity or allowing the lure of command and control, to give precedence to the process of administration over the purpose of administration. As the late Field Marshall Sam Maneckshaw had once quipped in a Board of Directors meeting “quit worrying about the form and start concerning yourselves with content”. 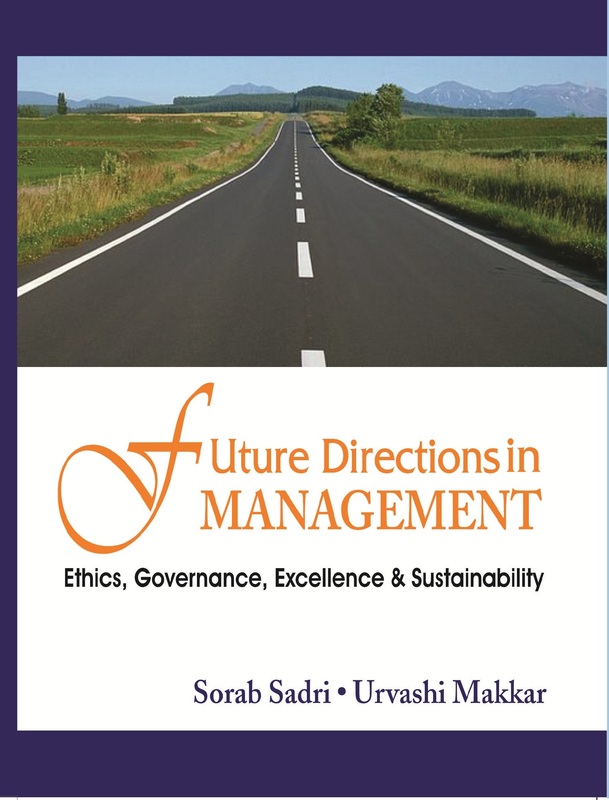 In a way, it is something intrinsic – coming from within the ethical predisposition of the managers (decision makers and decision executors). This entry was posted in Book, Book Read, Book Reading, books, Business, Business Ethics, business excellence, Business Governance, business management, Business Policies, corporate ethics, corporate governance, corporate policy, corporate values, ethics, governance, management, management in social sciences, manual, policy, policy making, Read, Read a book, Reading, reading a book, social sciences, Teaching, Teaching Business, Teaching Corporate Policy, Teaching Ethics, text book, text book for college, text book for researchers, tutorial, Values on 25/08/2014 by lifepositivepublications. Ethics is a body of principles or standards of human conduct that govern the behaviour of individuals, groups and organizations. The book can also be found on all popular websites like amazon, flipkart, etc. This entry was posted in Book, Book Read, Book Reading, books, Business, Business Ethics, business excellence, Business Governance, business management, Business Policies, corporate ethics, corporate governance, corporate policy, corporate values, ethics, governance, management, management in social sciences, policy, policy making, Read, Read a book, Reading, reading a book, Teaching, Teaching Business, Teaching Corporate Policy, Teaching Ethics, text book, text book for college, text book for researchers, tutorial, Uncategorized, Values on 22/08/2014 by lifepositivepublications. To begin with let me state up front that this long labour of love has produced a rationalist reference based postgraduate textbook. It not only covers the syllabus in leading B-Schools of India per se but also goes beyond it to create a new relevance along which the subject ought to be taught and understood at the postgraduate level in the future. It is hoped that this will help students and lecturers in either doing research on ethics and governance or in structuring their classes. Invariably these lecturers tend to either take the spiritualist route or the eclectic one. This is because most management students are weak on the legal aspects of business and do not take the pedantic route adopted by professional bodies like the ICSI and the IICA. It would, in my opinion, be better if they took the philosophical route, either Benthamite or Kantian, to posit their argument. Due to lack of access to philosophical texts, there is a big problem in choosing where to look. This explains the elaborate bibliography at the end of the book. This entry was posted in Book, Book Read, Book Reading, books, Business, Business Ethics, business excellence, Business Governance, business management, Business Policies, corporate ethics, corporate governance, corporate policy, corporate values, ethics, governance, guide, management, management in social sciences, policy, policy making, Read, Read a book, Reading, reading a book, text book, text book for college, text book for researchers, Uncategorized on 22/08/2014 by lifepositivepublications. We have viewed ethics as being person specific, culture specific and situation specific rather than seeing it in clear black and white terms as religious demagogues and petty minded autocrats often tend to do. For instance, when Voltaire argues, it is forbidden to kill; therefore all murderers are punished unless they kill in large numbers and to the sound of trumpets; he is espousing the fact that ethics is a complex phenomenon and cannot be seen and defined in black and white terms. This entry was posted in Book, Book Read, Book Reading, Business, Business Ethics, business excellence, Business Governance, business management, Business Policies, corporate ethics, corporate governance, corporate policy, Good Reads, governance, guide, management, management in social sciences, policy, policy making, Read, Read a book, Reading, reading a book, text book, text book for college, text book for researchers, tutorial, Uncategorized on 21/08/2014 by lifepositivepublications. Scams are very much alive and kicking so what is the solution ? The solution lies in the practice of good corporate governance according to Jorge E. Guerra who makes out a strong case for corporate governance in the following statement. This entry was posted in Book, Book Read, Book Reading, books, Business, Business Ethics, business excellence, Business Governance, business management, Business Policies, corporate ethics, corporate governance, corporate policy, Good Reads, governance, guide, handbook, help books, management, management in social sciences, Manifestation, policy, policy making, Read, Read a book, Reading, reading a book, social sciences, Teach Values, Teaching, Teaching Business, Teaching Corporate Policy, Teaching Ethics, text book, text book for college, text book for researchers, Uncategorized on 11/08/2014 by lifepositivepublications.